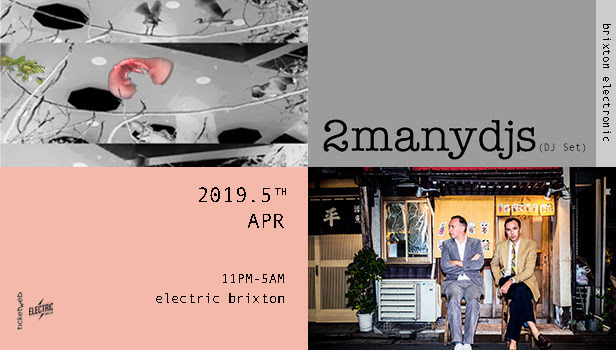 Belgian production and DJ duo 2manydjs will play Electric Brixton on Friday, April 5th. The Dewaele brothers will play a DJ set but expect to hear riffs on their output as Soulwax and a host of their remixes such as those for Tame Impala, Hot Chip and Arcade Fire. Pre-sale tickets will be available from 10am on Thursday, February 7th. Tickets go on general sale at 10am on Friday, February 8th. For details go here.